NOTE: This material is copyright. For many decades, Tilly has wandered through a dystopian land. Now she has a chance to set things right. Genres: Magic realism/reimagined Australian history/urban fantasy. 155,500 words (first of trilogy). It is the present. Twenty-something Matilda (Tilly), a reluctant time-traveller, and Cassi, her enigmatic guardian, have experienced a century and a half of Australia's European history when they meet Birrong, a sanguine Koori man who explains that they are to help him reshape what he asserts is the "dystopian dreamtime" in which the First Australians live. His plan is audacious: gain the confidence of the young Charles Darwin during his visit to New South Wales in January 1836 and convince him that he should champion the forging of an equitable accord between the fledgling western colonies and Australia's indigenous nations. The story, told in the first person, follows Tilly as she endures her over-protective mother/sister/mentor, struggles with the very concept of time travel and copes stoically with her desperate loneliness — as a side-effect of her time-travelling "infliction", she does not age, so cannot know enduring love. That yearning threatens to undermine the trio's plans when she becomes emotionally involved with Buster, who reminds her of her first lover, a sailor whom she met on the Sydney docks in 1872. Buster, who can eavesdrop on people's dreams, joins the group, with unsettling and plan-threatening consequences. With Birrong as their guide, the women learn to craft and control their hitherto ad-hoc time-travelling ability while broadening their appreciation of First Nations cultures. They also prepare themselves for their impending brief encounter with Darwin. Travelling to 1836, the group engineers multiple subtle encounters with the young adventurer. They demonstrate a truthful perspective of the original inhabitants and hope his observations will lead to influential conversations in the colony and back in England that will affect how Europeans react to the Aboriginal nations. The story ends with Darwin sailing from Sydney in the Beagle, but a Coda, set in the present, demonstrates that the group's efforts are rewarded. Late in the afternoon, we entered a settlement at the edge of a river worn well into the earth. "Grafton," the driver announced as though the word would open magical doors. Unlike most rivers I had experienced in this wide brown land, water touched its banks and Cassi decreed we had arrived on the coastal plain. She looked annoyed. "This is a minor junction. We should not be resting here. The main part of the town is across the river," she explained, "and doubtless the coach has business in that place, but the coastal road follows this river's southern and eastern banks towards the sea. That is our intended course. From here we do not need to cross the river. We are needlessly stalled." Her argument and impatience were lost on me. We were stopped at a hamlet where a handful of rough-hewn wooden commercial structures invited customers. For the most part, the place looked deserted. Cicada-song and bird-chatter among the gums filled the fragrant air. A clerk at the coach company's office — really a desk and noticeboard in a horse stable — informed us that the ferry to the river's other bank had become stuck on a sandbar. (The punt depended on the inflow of tidal water to augment that supplied by the river.) This left us stranded. Cassi's black mood deepened and she prowled as if waiting for a sign from the saints or a decision to take form in her mind. The company arranged overnight lodgings and to take advantage of this unexpected break in our journey, Cassi guided me away from the settlement to the seclusion of the riverbank. "Forgive me, Ma-til-da, our forced delay is unnecessary but the coaches do have their routines, I suppose. Imagine if they had decided to bypass whole towns? Mail would not be delivered, loved ones would not be embraced." She babbled, making excuses for her earlier impatience, and I stopped listening, content to drink in the evening. It had always been a magical time of day for me, when the sky turned mauve in the afterglow and my trivial concerns surrendered to whatever sights and sounds and smells that the world might offer. I could feel the aches of travel leach away. A near full mothermoon had risen and its fat yellow light danced on the waters of the languorous river. Ever since I have been in Australia, I have found that sight hypnotic. Cassi shared an anecdote of how she could see a rabbit etched in mothermoon. She said that when she was a child, in England, the rabbit had been upside down, but here she could see it as intended, and thought that important. She said she had created stories about that orb's journeys down to the world each fullness to encourage children into making mischief. Thereafter as punishment, mothermoon would fret away to nothing, until the need to grow bolder overtook the darkness. She said I was like a mischievous child, emboldened by the call of mothermoon. "I'll wager you delighted in weaving pranks about your loved ones when the moon was on you," she said. Mesmerised with the stillness after an arduous day of road noises and dust, I said nothing. I tried to read the scribbly message mothermoon had written on the tidal water. Day by day that language had become clearer, and soon I would understand. Is this what Cassi meant by saying, When the moon is on you? My thoughts turned to parents — I touched the locket at my throat — and lives cut short, and love pent up and dispensed as tears in echo rooms. We paused in our stroll at a grassy spot and my enigmatic companion sat. She offered a hand that I might join her. I did so, but she did not release me. An awkward moment passed, then she studied my face by the late light of sun and mothermoon. I saw love there as though she had absorbed a familiar and endearing sight and when she found my eyes I could see that hers were slightly moist as she said reassuringly, "Do not be afraid." I navigated the gangplank and stood on the deck of the Beagle, face to face with Charles Darwin as we effected a little dance of avoiding busy sailors readying the ship for sea. I remembered the drawing I carried and thrust it at him. "Cassandra gave this to me as a memento of our meeting," I said, in lieu of fumbling with pleasantries. "I mean my meeting with her. I thought you might like it." He looked at me, puzzled, and plucked at the green ribbon. If he was curious as to why I was still in Sydney Town or why I kept on turning up in his life, he made no mention of it. He unfurled the paper slowly and took in the artwork, as he had done with each of Cassi's sketches at the Scotch Thistle. "It is fine art — Matilda? — and I will treasure it," he said. "Should you ever encounter Cassandra again, please tell her that I will display it in my cabin for the remainder of the voyage and find a place for it in my study in London." He meant it as a compliment; it came across as vain. He rolled it up and I helped him with the ribbon. The meeting had concluded. I held out my gloved hand and after a pause, he took it. "Mr Darwin, may I ask a question?" He bowed his round head slightly. "If a society is faced with important choices, should they look forward with hope for their answers or rely on their experience and prejudices?" "Goodness," he said with a laugh, "does it ever stop with you colonials? I came here expecting a pit of vagabonds and I find a ponder of philosophers!" When I did not respond, he continued: "There is wisdom in both experience and hope, Matilda. I have had long sessions with the guardians of this colony since my return from the inland and fully bent their ears on many of their beliefs and shortcomings. My journey has both invigorated and saddened me. Why do you ask this?" "It is a personal matter, Mr Darwin. I am to make a choice that affects those around me profoundly. It is a choice between an individual's immediate benefit and the longer-term welfare of a group I cherish dearly. The two outcomes may not be compatible." He nodded all the while and said, "My journey has taught me that both outcomes are indeed possible, Matilda; that individual strength can benefit generations down the ages. Believe in your strengths as I have learned the First Australians believe in theirs, and history — or in this case, your cherished group — cannot help but benefit from that belief." Over Darwin's shoulder and near the poop deck, I saw a stately figure impatiently shift his weight from foot to foot and I assumed this to be Robert FitzRoy, the Beagle's captain. He was a chubby-faced chap with muttonchops and the sort of rounded jowls that ably shaped the gab of an aristocratic Briton. He viewed the world from small eyes that peered over his beaked nose. He squinted, but that might have been a symptom of the harsh antipodean sun rather than myopia. He could have been a manor-bred second son, a pastor ever loving of his flock. His Napoleonic posture spoke more of his propensity to dispense wisdom than a willingness to receive it. It was his social class that Cassi, Birrong and I hoped Darwin could persuade to give Australia's First Nations people not so much a new deal (this was, after all, 1836 and almost a half-century into the country's European colonisation) but a fair one almost from the start. Darwin turned to source my distraction and gestured for FitzRoy to join us. Tempting as it was to meet another of our history's key players, I placed a light hand on Darwin's shoulder to regain his attention. "Mr Darwin, I know time presses on you but, if I may, one other brief matter." FitzRoy moved to join us, but I said my piece anyway and in my rush perhaps synthesised my question a little too harshly. "Do you believe in God, Mr Darwin?" His pause gave FitzRoy time enough to join his distinguished passenger. With the captain at our side, the ship's crew flowed around us, without its earlier shouts and warnings. Darwin's questioning gaze penetrated my skull and rummaged for meaning at the back of my brain. Although only a few years separated us in real age, at a pinch I had hundreds of years of experience over this young man but still I felt humbled. "God?" he said evenly. "How could I not believe in Him? I have devoted my life to bearing witness to His majesty. It is my life to read His work and write it down for all our children. Captain FitzRoy?" "You have crates still to load, Mr Darwin?" "My man is attending to them. We will not delay you." FitzRoy nodded, but he did not move away, as I expected he might. "Go on, Matilda." He did not introduce me to his captain. "So your god preaches to you from beyond the formal scriptures, or in addition to them. I mean beyond the Bible and church teachings." I was way out of my depth here, but having started so brashly, I needed to reframe my question. "Yes, that is true though as a scientist I have responsibilities to both my calling and society. It is not necessarily an easy admixture to balance." 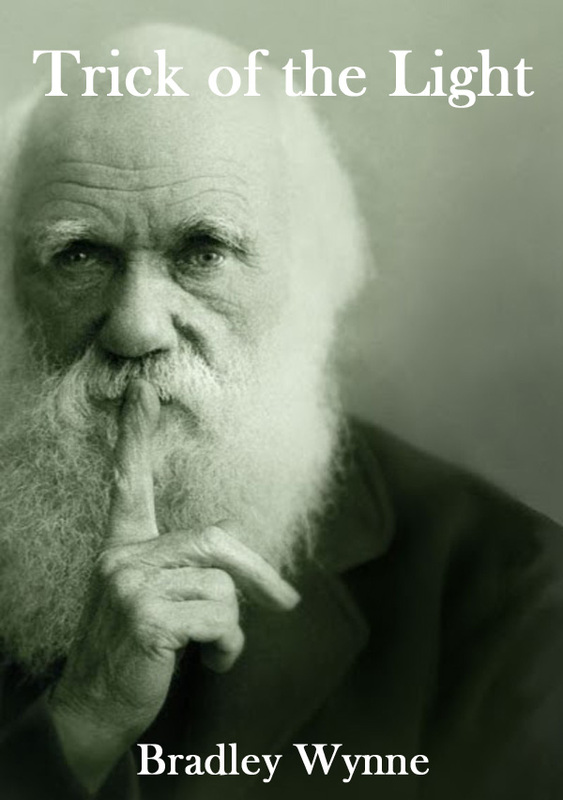 "Fact and faith, Mr Darwin," FitzRoy said and Darwin nodded. A glance passed between the two men; this was territory they had traversed before. Of course, their conversations on the long months at sea would have broached such topics. "But what if as you travelled through a land where the work of God is not in what you observe, but what you cannot see, what you feel?" "You're speaking of a spiritual reaction to the land? Of course, I understand the importance of that aspect. Always." "No, Mr Darwin, I speak not of a spiritual response but more of a communion with the spirit of the land. Something you cannot gauge from so brief a journey as yours." My whole argument hinged on the shared dream Darwin had with Buster concerning two indigenous waifs who mourned their past while offering Darwin a personal hope for the future. "Are you asking that I should stay in Sydney to learn more?" At the suggestion, FitzRoy seemed to puff up like a courting pigeon. "No, Mr Darwin, of course not. Britons have colonised this land for less than fifty years and without blame they have sought to shape it as best they know, which is to emulate the homeland. But the native cultures have had fifty millennia or more to share and understand the land. We have much to learn." A cold flush passed over me. Fifty thousand is a number that would not be generally accepted as the tenure of Australia's First Nations for another five generations or so. Had my anachronistic slip tinkered too hard with history? FitzRoy damned and saved me. "If I may observe, you say they as though you have no part in the colony." As Darwin had not introduced us, I could not address the captain by name. "Forgive me, sir, I speak as a settler from across the Celtic Sea." Better he harrumph against my Irish heritage than know my true calling. If FitzRoy's intention had been to break the conversation, he succeeded. That job done, he turned to leave me alone again with Darwin. “Fair wind and following seas, captain,” I said and he would have thought the comment precocious. He stopped, smiled and offered me his hand. “FitzRoy,” he said, pronouncing it as two words. I used his hand to steady myself as I curtsied. He might have expected that. With the captain about his business, I exchanged farewell pleasantries with Darwin but removed my glove before once more offering him my hand. He took it, nodded, and watched me while I disembarked. When I turned for one last look at the Beagle at anchor, he was gone.